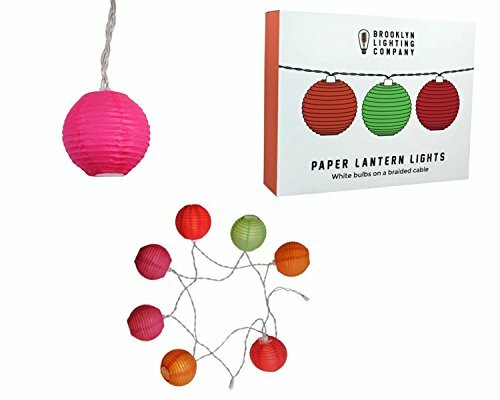 These Colored Paper Lantern-shaped string lights brighten up any room or space in your home or apartment with their 9 warm LED lights. You can hang them or drape them anywhere you like to showcase your style. Use them on furniture, window sills, balconies, railings and more.